Return to Black Swan Castle! Officials in Wehnimer's Landing have noticed an increase in troll activity in the Upper Trollfang. After sending several hunting parties to investigate, the source has been narrowed to the area immediately surrounding Black Swan Castle. The town is recruiting volunteers to venture into the Castle and investigate. Because of the danger involved, each hunting party has three hours to explore before being extracted by a rescue team and handsomely rewarded! Black Swan Castle has a long and storied past. While it was once the pride of the countryside, resplendent with its pristine white marble walls and graceful swan-like curves, dark magic twisted it into its current form a century ago when undead hordes descended on it and the surrounding village. Vestiges of the battle are still visible both inside and outside the castle. 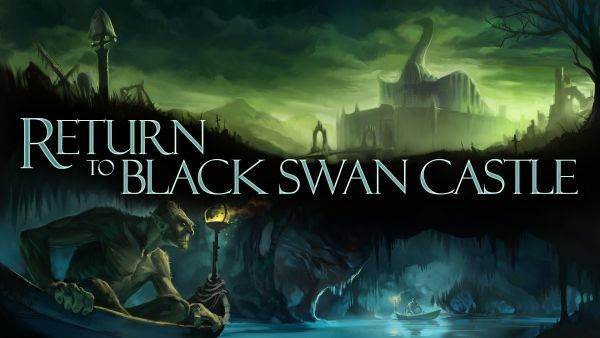 Up to 10 players can participate in the Return to Black Swan Castle quest. This is a heavily puzzle-based quest that relies on good party balance and a breadth of available party skills. Players are strongly encouraged to bring a diverse group of professions and races for maximum success. While there is limited combat, there are many things that can maim and kill unwary adventurers! To participate, visit the SimuCoin Store for a Quest Nexus Orb.